In my Bible study group we are beginning a study on prayer. It is striking how many Christ-followers struggle with personal prayer habits. My own experience has included rich quiet times with the Lord when I was younger. I had developed a consistent time and place for talking with God, but that all changed when we began moving around often. Even though I haven't re-established that sort of consistency, I have treasured my prayer partners over the years and the ways I have connected with God (even if less than consistent in my locations and times). Unfortunately, though, I've had long seasons where I have not prayed. Sure I sent those 'arrow prayers' upward as I thought about people and things, but I was missing out on focused time talking--and listening--with Jesus. These prayer-less seasons almost always resulted in sin. Whether I was knowingly sinning or whether I was believing wrong thoughts or living in fear, these seasons were not spiritually fruitful. After one particularly dark time in my life, I asked God why He brought that darkness upon me. He made it clear: I had been doing things in my own strength, I had been acting independently of Him, and prayer would be the way to foster dependency. The truth is that prayer makes me vulnerable and dependent upon God...and I often resist that. 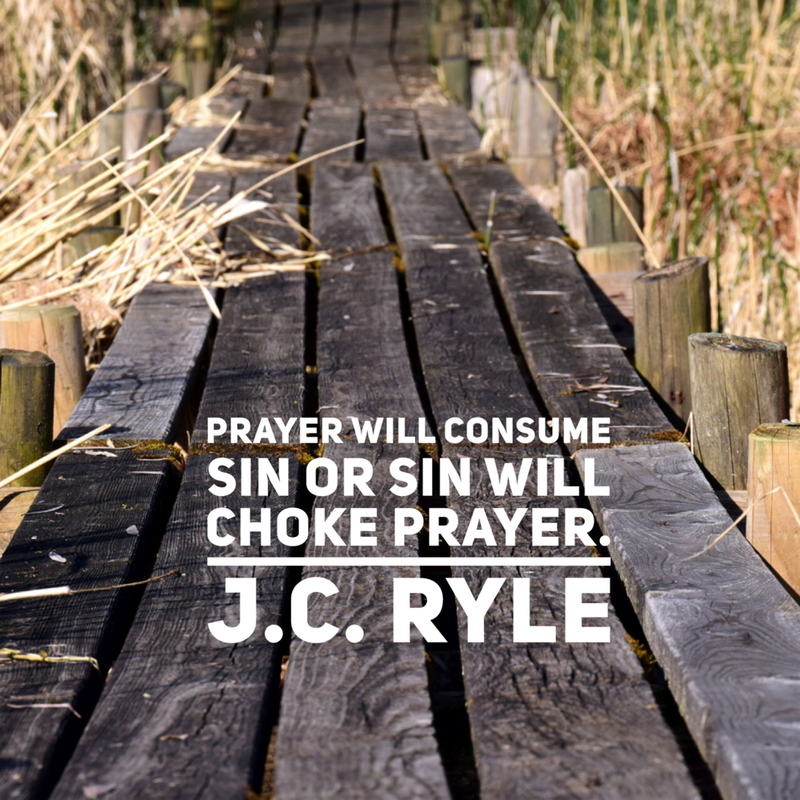 J.C. Ryle, one of my favorite authors, wrote a tract called, "A Call To Prayer" that has challenged and encouraged me over the years, particularly in my prayer-less times. I encourage you to consider why we pray and to follow God's prompting to depend on Him through prayer. Seeing the hand of the invisible God at work in our lives is faith-building and joyful.